In Australia, the start of the new school year is just around the corner. Parents start collecting book list items and teachers start planning the year ahead. 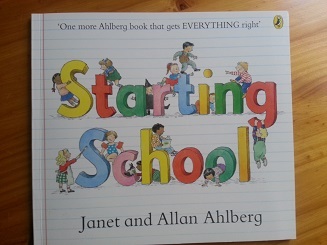 As a teacher, I always like to read a ‘starting school’ book on the first day because many of the books acknowledge the range of feelings the children and families are going through. They also outline some of the great things children will do at school. These books can help reassure and support children as they start in a new classroom. I’ve chosen these three books to review as they could be read by both parents preparing their children for the start of school as well as teachers who may read them to their students. ‘Starting School’ centres around five children who are all experiencing different emotions and feelings about starting school. If you are reading this book to your class or your child, there is a good chance they will identify with one of these children. I really like how this book covers most ‘starting school’ topics – and uses headings to highlight the events. Things that are covered include getting ready, emotions, meeting new people, making friends, looking around the school, learning school routines, lessons, packing up and home time – pretty much a standard school day! There’s also a lot to discuss in the illustrations. Don’t miss the opportunity to talk about these. 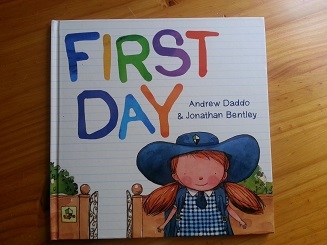 This book could be used by both teachers welcoming their students to school as well as parents getting their child ready to start school. Penguin provide teaching notes http://www.penguin.com.au/extras/65/9780670076765/educational-text/Teaching%20Notes.pdf that may be helpful. It was a pleasure to meet Tim, Hannah, Sunita, Joe and Polly and see how starting school went for them. It’s the first day of school and a mother and daughter are ready! Well, they are trying to convince themselves they are! They have a special breakfast, get dressed and let each other know how important they are to each other. They will both have to be brave but the first day of school will be fantastic! Mummy and daughter kiss each other goodbye which is then followed by my favourite part of the book – ‘the best bit about waving goodbye is the next wave will be hello’. Makes me a bit teary just typing it! So the end of the day comes and….. well maybe you can read the book to see how the day went and if they both survived! The children and their families wait expectantly to go into the classroom o the first day of school and meet their teacher.There are so many things to do, instructions to follow and interesting things in the classroom.We are taken through the children’s first day, second day, first week and beyond getting a great insight into what goes on in many classrooms around the world. The text is simple but there is a lot of detail in the story and the illustrations. 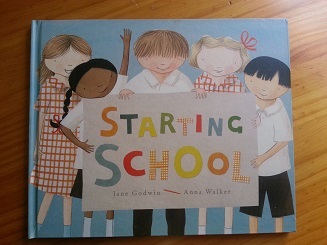 This book deals with starting school in a helpful and reassuring way. If you are looking for a way to prepare children for the start of school, books are a great way to help!